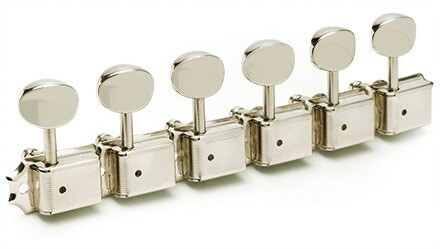 Set of 6 Gotoh SD91 'Vintage Kluson Style' Tuning Keys. Includes 2 sets of press fit headstock bushings. (one regular full length set, and one shorter set for partially drilled headstock tuning machine holes). - 15:1 Ratio. 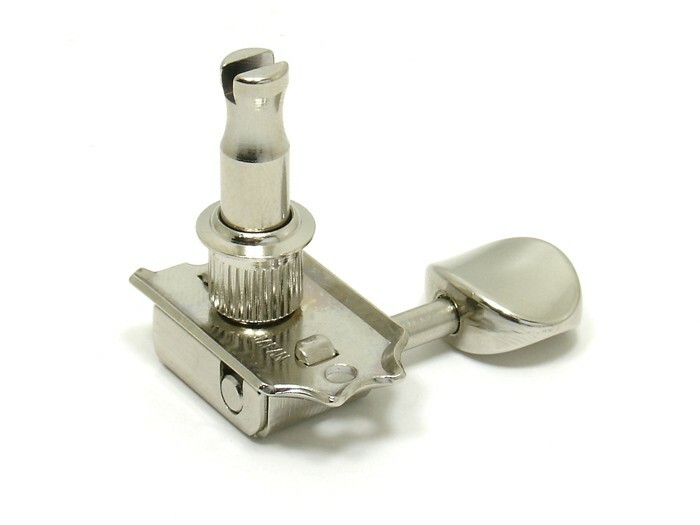 - Includes 2 sets of press fit headstock bushings, bushing removal tool and fixing screws. 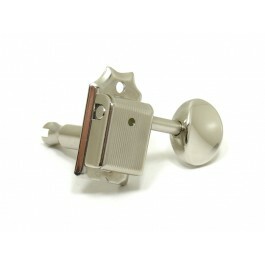 - Requires 8.75mm diameter (11/32") hole. 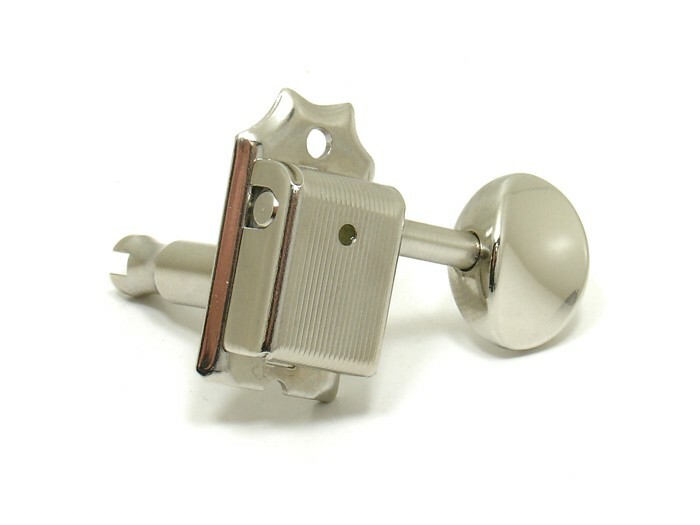 - Nickel Finish.